I love doodling on my chalkboard (see my top chalkboards HERE), and I wanted to do a nativity scene this year as part of the Christmas decor in our office. It is right off of the entryway in our home and is a nice focal point to remind us of the reason for the season. I shared a tutorial for chalkboard art HERE, but I didn’t use that method this time. My hubby purchased an old overhead projector for me off of craigslist last year and I LOVE how easy and fun it is to change up my chalkboards now! 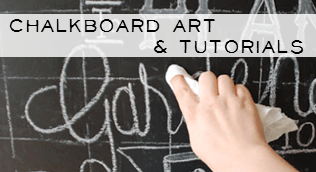 If you would like to draw this on your chalkboard, I am including the template download below. Or, if you would just like to print off the finished 8 1/2 x 11 chalkboard printable, I will leave that link below as well. All you have to do is print and you have some fun Chalkboard Nativity art for your home! Please remember these are free for personal use only. To get the chalkboard template (To draw your own) click HERE. To get the already finished chalkboard printable, click HERE. Chalkboard Printable TIPS: I always save my chalkboard printables like this on a thumb drive and take them down to a print shop or office supply store and spend the 7 cents per copy so I don’t waste all of the black ink in my printer (make sure you select B&W on the copier and not color). I take, and print it on, my own cardstock for a much better quality print. Also, I think that chalkboard printables look so much more real if you lay a piece of chalk on its side and rub it all over the printable before displaying. It takes off a little of the sheen and makes them look like you almost drew them yourself!